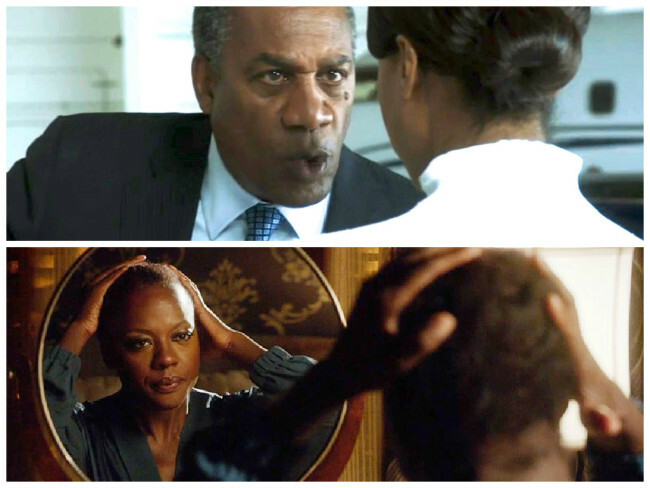 Daddy Pope (Joe Morton) and Olivia Pope (Kerry Washington) on Scandal (top); Viola Davis as Annalise Keating on HTGAWM. Writing for his blog Phillbranch.com, writer and Howard University lecturer Phill Branch has penned a blog post entitled, “Shondaland Black Moment Wish List.” In the post, Branch compiles a list of things he would love to see on television mogul Shonda Rhimes’ breakaway ABC hit shows Scandal and How to Get Away with Murder (HTGAWM). What drove him to create this list? When Shonda Rhimes had Papa Pope tell Olivia that she had to be “twice as good as ‘them’ to get half of what ‘they’ have,” and the seminal moment in television history when Annalise (whose Mama named her Annie Mae) took off her wig and make-up in a nearly perfect moment in television history. When Shonda Rhimes had Papa Pope tell Olivia that she had to be “twice as good as ‘them’ to get half of what ‘they’ have,” I wanted to stand and start a slow-clap. That moment was both very real and very black. I loved it. I was pretty certain that I wouldn’t see anything that authentic on TV again anytime soon, but then Annalise snatched off her wig on How to Get Away With Murder. I was pretty certain that Shonda was done giving us black history moments this season, but then Cicely Tyson popped up out of nowhere, grabbed a comb and got up in Viola/Annalise/Anna Mae’s “kitchen.” The sight of Annalise sitting betwixt her mama’s knees, while I listened to the crackling sound of ungreased black hair was more than I could handle. I was overwhelmed with the realization that despite the growing numbers of black people on screen, very few moments artfully and realistically capture cultural nuances. It got me to thinking. Now that Shonda has snatched wigs, combed kitchens and shown the speech that almost err’ black parent gives their child, what’s coming next? Let’s be clear. 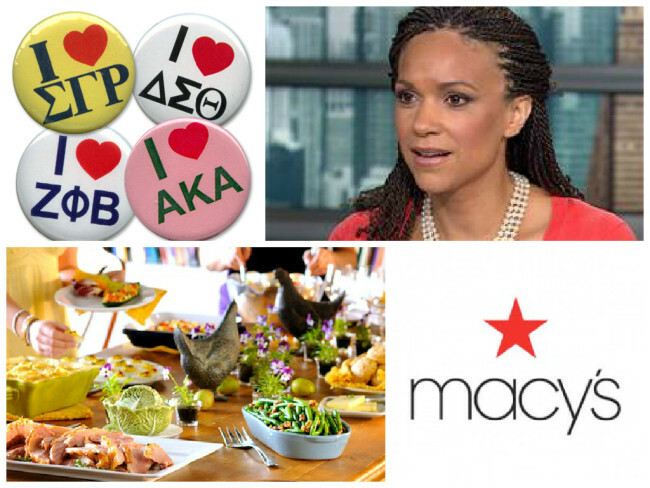 Neither Olivia or Annalise would regularly (ever) shop at Macy’s, but keeping it 100, they have family and friends. Sure they make a considerable amount of money now, but they’re both only one generation removed from a “One Day Sale.” Let one of them begrudgingly buy a cousin a Nine West bag. Olivia and Annalise work in law and politics, are black, and own televisions. No brainer. Last fall I attended my class reunion at Hampton. We packed the local convention center for a party with about 800 people who range from soccer moms, lawyers, TV network executives, surgeons, professors, elected officials, etc. They eat kale, summer in Martha’s Vineyard, are on boards for renowned organizations, drink fine wine, but you know what they did when The Wobble came on? They wobbled. If Shonda has Olivia do The Wobble, black America will collectively throw their shoes at their TVs. – and then get up and wobble. What’s on your Shondaland Black Moment Wish List? Share with us @TheBurtonWire. Check out more of Phill Branch’s work on Phillbranch.com. Follow him on Twitter @PhillBranch.